← When Life throws a Trash Can…. Since my Moratorium on spending back in 2001 I have made do with what I had. It wasn’t too much a sacrifice because I was quite the Spendy One before then and have lots of things to play with. But, a little brag, I also have been gifted through rEcycle and Freecycle groups. 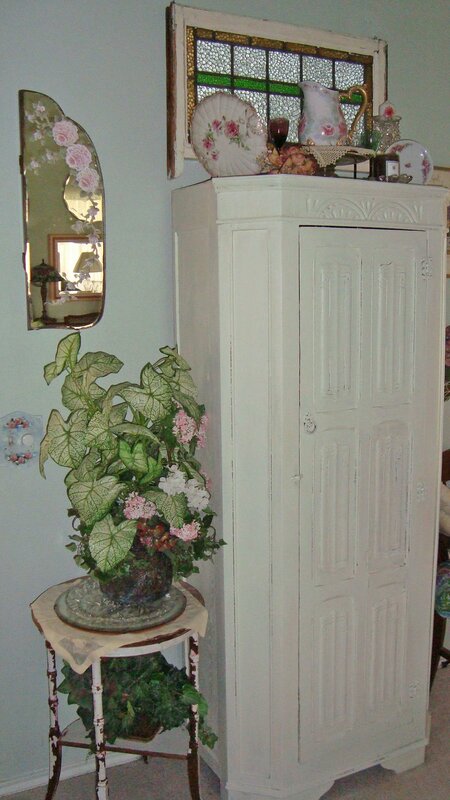 This armoire was one of those items. It is an antique from England, I was told. The lady had lost her desire to refinish it, so I ended up with it. See that table to the left? Another antique saved from the landfill by some smart curb-side shopping. It has chippy white paint covering pink chippy paint. Love it! 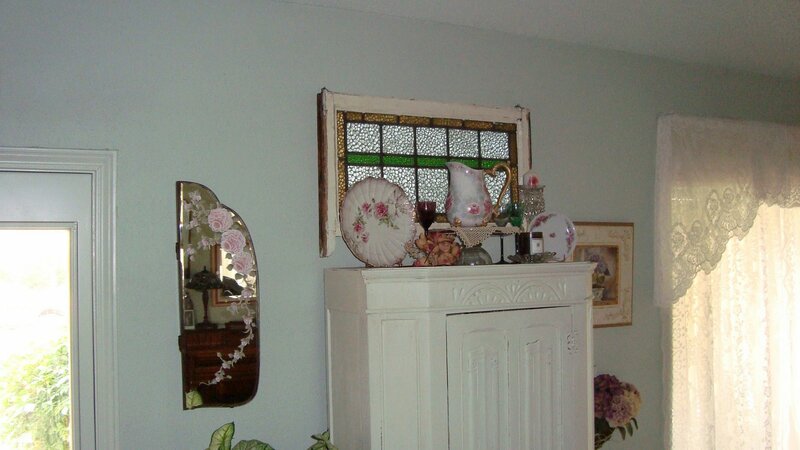 Above that is an old dresser mirror I painted roses on. The stained glass came from an old building in Decatur, TX. It was in my kitchen window for a while but it seemed perfect for over the armoire. 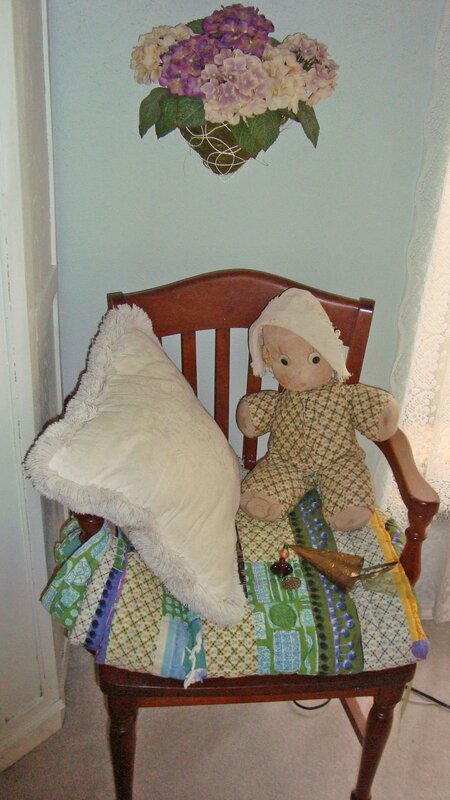 On the other side is one of my favorite things…My mother’s doll from when she was a little girl. Her name is Jennifer Nancy. Grandmother brought the doll home from a friend she had visited. The little doll was quite worn and needed a new covering. G-Mom took fabric she had left over from making the quilt Jennifer Nancy is sitting on and made the little doll a new covering. The wooden chair is from my precious father’s office in downtown Dallas. His company sold decades ago and is now condo and studios for artists…I like that. This entry was posted in antique, chippy, curb side shopping, Jennifer Nancy, mirror, PINK, rEcycle, Roses, white. Bookmark the permalink.